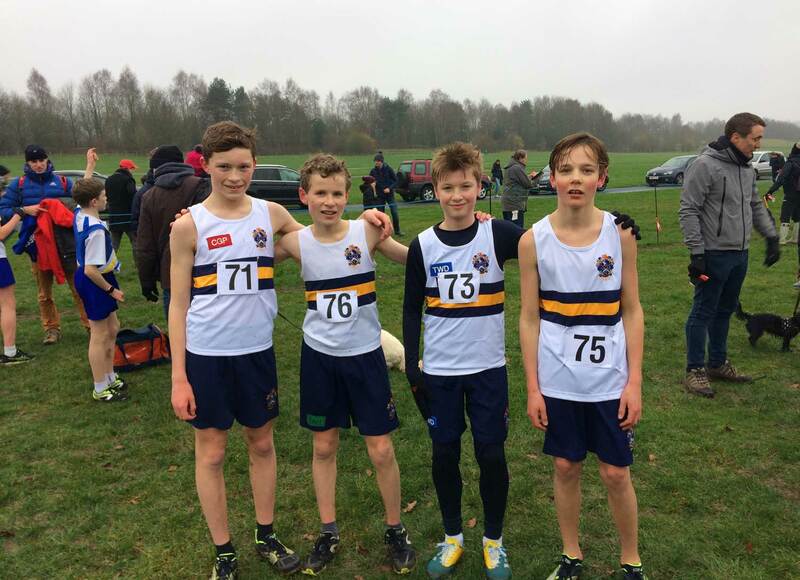 It was an excellent day for our cross country runners at the Berkshire Schools Cross Country Championships in Newbury on Saturday 19th January. The combined Year 8/9 team had a fantastic result to become Berkshire champions on a damp course at Newbury. The team was somewhat depleted with illness so this really was a splendid team performance. Chris P led the way home, finishing in 6th position and therefore gaining a place in the Berkshire team for a match in early February. Tom D was next in at 18th, followed by Nick H and then Tristan H.
There was also a very good result for the Year 7 runners, who finished 2nd out of 13 schools and 123 runners. Sam L-H led the Blue Coat boys home in an excellent 3rd position, followed closely by Tom E in 4th. Josef H was next in 35th, Patrick W in 41st, Ben B in 46th and Tom W in 49th. An impressive result!